This is a weird one. It's a real track, but it's not yet finished and isn't likely to ever be finished. I became aware of it through the guys at "The Smoking Tire" and "Drive" (Both excellent YouTube channels. Subscribe to them! Anyway, they went on a road trip to Panama, had done all their homework, contacts and cars set up... but when they got there everything fell apart. So at one point, they go on Google Earth to see if there's any good roads or tracks, and they find this place. It's not hard to find, approx 8deg N, 79deg W, and you can see it online. So, it "is" a real track, but we may never actually see it raced on in real life. All I had to go off of was standard google elevation data etc... and aerial pictures. So I went to town on it. There are currently no setups for Panama Circuit. Add a Setup. I got to work for FVRFactor again so I decided to release a Skin Pack that faithfully represents the 2006 V8 Supercars Series. 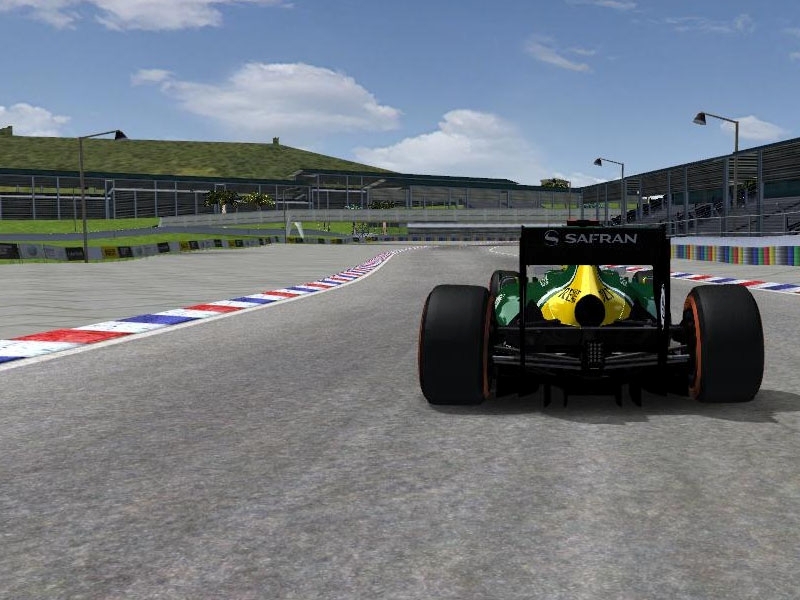 It runs with the FVR V8 2011 Mod installed and the Fujitsu 2011 Skin Pack Installed. It includes all the cars and all the liveries used in that series.